Vanessa, from the Wik and Meriam Nations, has lived on the land of the Gadigal people for the past five years. She is a social epidemiologist, educator and public health/health sciences researcher at the University of Sydney. Her area of expertise is Aboriginal and Torres Strait Islander health service delivery. 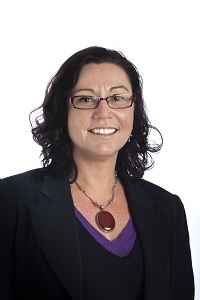 Vanessa, as the former Vice President Aboriginal and Torres Strait Islander health of the National Public Health Association of Australia, chairs the Public Health Indigenous Leaders in Education Network. In her capacity as an educator she co-ordinates a Unit of Study (UoS) titled, “Health and Indigenous populations” to undergraduates for the Faculty of Health Sciences. Vanessa is able to draw upon her public health/health sciences research in the curriculum for this UoS and combine it with specific competencies that align with the MPH Indigenous core competencies this includes, but not limited to: analysis of key health indicators for Indigenous people; analysis of social determinants and Indigenous people; analysis of the impact of colonial processes on health outcomes; analysis of primary health care and the ACCHS; and analysing ethical and culturally competent best practice in the Indigenous health context. All of the research, engagement and curriculum development that Vanessa is involved in are directed towards the overarching goal of improving the social determinants, efficacy and linkages of services for better health of Aboriginal and Torres Strait Islander people. Craig Allen is a Yandruwandha Yawarrawarrka man. With a background in Psychology Craig has worked extensively throughout the country supporting Aboriginal and Torres Strait Islander individuals, their families and communities. Craig works within the philosophy of “Cultural Way First” and this philosophy has influenced Craig’s direct clinical work and underpins research, policy and teaching. An Assistant Professor with CAMDH at UWA for the last 8 years, Craig has been teaching future generations of health practitioners the importance of Aboriginal and Torres Strait Islander culture and how to better provide culturally safe and secure health services across a wide range of health disciplines, including an MPH. This teaching is underpinned by the either the CDAMS or Population Health Core competencies. Craig has been an active PHILE member since 2014. In this time he has undertaken a program review and is involved in the working party currently reviewing the National Aboriginal and Torres Strait Islander Core Competencies. Craig looks forward to working with the PHILE network well into the future. 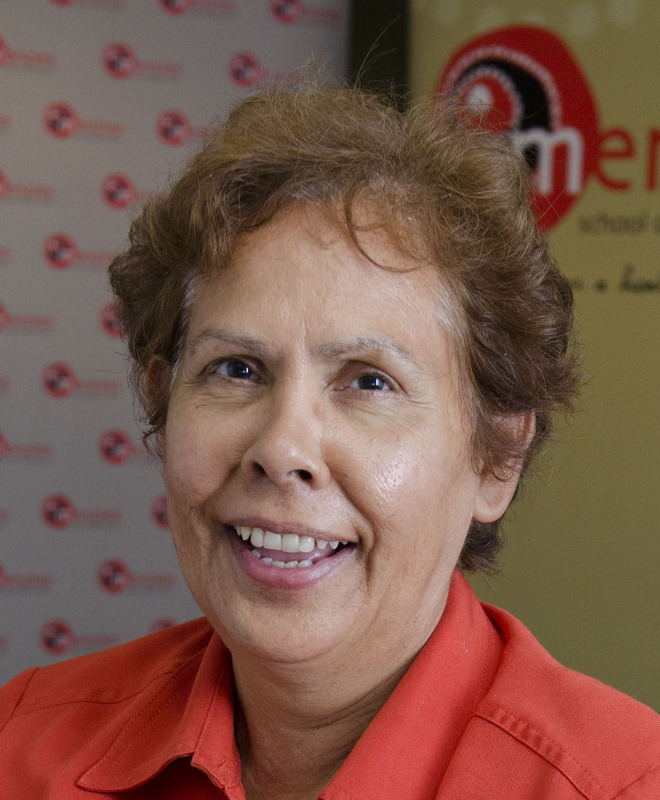 Wendy Anders is an Arranda woman from the Northern Territory, and has a long history in working at a senior level in Health Services throughout Australia. This has given her a broad knowledge and understanding of the public health approaches to working in communities. Wendy is a co-coordinator of the Indigenous Public Health Capacity Building Project. Wendy lectures in the Master of Public Health at the Institute of Koorie Education, Deakin University. Heather is a Bard woman from the West Kimberley. She trained as a nurse and a midwife and worked in health services for more than 25 years as a clinician and as a manger. She entered into health research 15 years ago. She is the Associate Director for Aboriginal Programs and Division Leader for Education and Research Support at the Menzies School of Health Research. Heather’s area of research is in maternal health with a focus on the prevention of birth defects such as Neural Tube Defects and Fetal Alcohol Spectrum Disorders. Heather has a Bachelor of Applied Science and a Masters in Health Economics (Aboriginal health) from Curtin University. I have extensive experience in teaching Aboriginal and Torres Strait Islanders students in a tertiary environment. I have worked as coordinator and lecturer in the Master of Public Health at the Institute of Koorie since 2003. Prior to this I have had numerous positions in academia, the public service and non-government organizations. I have extensive knowledge in Aboriginal health issues ranging from chronic health conditions such as diabetes to addressing health problems from a social determinants approach with includes housing, racism, education, social justice and social exclusion. A strong focus in the MPH is identifying and implementing viable and sustainable community based approaches to addressing health issues in communities. In my teaching at the Institute of Koorie Education in the Master of Public Health I utilize the 6 core competencies. For example: Qualitative Research subject – content includes developing a research proposal, ethics, data collection and analysis. Indigenous research approaches and methods are addressed in this subject (including addressing the NHMRC research ethics – respect, involvement of community in meaningful way, - reciprocity, equality, responsibility, approaches – oral history, yarning circles/stories). The research processes for the MPH minor/major projects is another example – all students have both an Indigenous supervisor and a Deakin supervisor, students are encouraged to form a local cultural committee to guide the research process and to incorporate Indigenous research approaches and methods in their research projects. I have also been involved in developing Aboriginal content into a Research Literacy for Health Practice unit which is available for all Deakin MPH students. This included a history of Aboriginal and Torres Strait Islander health research and Indigenous research approaches and methodologies. The health promotion subjects that I teach have a strong Indigenous determinants approach, with a focus on Aboriginal models of care and the importance of the Aboriginal and Torres Strait Islander community controlled sector. I am currently involved in the development of four case studies that document best practice in Aboriginal and Torres Strait Islander health promotion. These resources will be made available to all health promotion units available in the MPH at Deakin. This material has been funded via a small grant from PHILE. Prof. McDermott is the Associate Head of Faculty, Aboriginal and Torres Strait Islander Health, within the Faculty of Health Sciences at Flinders University. He is also the Director of the Poche Centre for Indigenous Health and Well-Being, Adelaide. A Koori man, his mother’s family are from Gadigal land (inner Sydney) with connections to Gamilaroi country (north-west NSW). A psychologist, Dennis has worked in such diverse fields as alcohol and other drug education and counselling, private therapeutic practice, community health and men’s health research. He has trained Aboriginal foster carers, supervised counsellors to the ‘stolen generations’ and worked with families dealing with a death in custody. Dennis’s teaching and research interests encompass early childhood, social determinants of Indigenous health, racism, incarceration, Indigenous social, spiritual and emotional well-being, workforce development, Indigenous health pedagogy, and the nexus of culture and context in service delivery. His work incorporates Indigenous perspectives on the modes of operation of the social determinants of health. It is concerned to both nuance the traverse from research, through policy, to improved outcomes, and yet make more-transparent those barriers that are less-discernible. His scholarship, for example, includes analysis of the consequences of the ‘invisibility’ of interpersonal racism and the ‘opacity’ of systemic racism/discrimination for policy formulation, service delivery and effective workforce training. Melody Muscat is a descendant of the Bidjari people from Western Queensland. In January 2016, Melody took up the position as the Program Leader for the Bachelor of Health Science, Aboriginal and Torres Strait Islander Health program at the University of the Sunshine Coast. Prior to this position, Melody was the Course Coordinator for First People’s Health & Practice in the School of Medicine at Griffith University. From 2011 to 2016, Melody coordinated the Aboriginal and Torres Strait Islander Health subject in the Master of Public Health program at James Cook University. Melody holds a Bachelor of Health Promotion (University of the Sunshine Coast), Master of Indigenous Health (University of Sydney), a Professional Certificate in Indigenous Research (University of Melbourne) and is completing her PhD through the College of Public Health, Medical and Vet Sciences at James Cook University. Her research interests are in Aboriginal and Torres Strait Islander health promotion, game design for health and gender. Since 2012, Melody has been a member of the Public Health Indigenous Leadership in Education (PHILE) Network. Melody is also a currently member of the Council of Academic Public Health Institutions of Australia (CAPHIA) Executive Committee and the National Close the Gap Campaign Steering Committee. Priscilla Robinson teaches and researches in the areas of public health, epidemiology, health services administration, and international health. A particular interest of hers is in the relationship between the arts and public health. She is in the process of retiring as a senior lecturer and epidemiologist in the Department of Public Health at La Trobe University. Until recently she was the academic coordinator for the University’s Master of Public Health programme. Her teaching, research and evaluation interests are broad, and include communicable disease control, public health emergency management and recovery, and practice-based public health competencies. Her work has included the evaluation of various Indigenous-led health programmes, in particular in Western Australia. She is currently involved with an evaluation of both the national postgraduate public health competencies, and the specific Indigenous public health teaching and learning competencies. The latter are considered to be exemplary in that they provide teaching staff with very clear guidelines about subject content, resources, and teaching and assessment strategies. Dr Robinson is also a general editor of the Australian and New Zealand Journal of Public Health, and an academic editor for the Australian Epidemiologist. She is on the editorial committee of the Journal of Global Peace and Security, and a member of the boards of CONCERN Australia (a faith-based NGO), and South Gippsland Health Service. My name is David Sjoberg I am an Celtic-Anglo Australian of 52 years married to Annette Flanagan, we have four daughters (three still at home). I work in the Poche Centre for Indigenous Health and Wellbeing at Flinders University in Adelaide, South Australia as an Associate Lecturer in Indigenous Health. I have a BA in Aboriginal Studies completed in 2000 at UNISA. I lived and worked on Ngarrindjeri country for the Ngarrindjeri Land and Progress Association from 1999 to 2007 at Camp Coorong Race Relations and Cultural Education Centre south of Meningie in South Australia on the Kurangk (Coorong) on Ngarrindjeri Ruwe (Country). I was trained as a race relations educator by Uncle Tom Trevorrow and Uncle George Trevorrow for 7 years. My time at Camp has had a significant impact on my current work in curriculum development in Health Sciences education and the pedagogical approaches we employ. I have taught on Indigenous Health topics at Flinders University since 2008. I have Co-ordinated the Master of Public Health topic PHCA9504 ‘Critical Practice in Indigenous Health’ for the last 6 years. It is a core topic and we average about 60-70 students a year. We have developed teaching strategies and assessment pieces to enhance student criticality and build students' public health competencies. With a strength based Human Rights approach I have worked to incorporate Indigenous knowledge systems into our Public Health curriculum development and our teaching strategies. In order to challenge/reverse epistemicide we have ensured Indigenous leadership of content and pedagogy along with approaches designed to maximise student engagement and highlight the pervasive/persistent nature of ‘whiteness’. In order to engage the head and the heart I have developed a number of innovative ways to teach in this area that specifically address the significant level of resistance to indigenous health education. I have drawn from Indigenous led pedagogical approaches in Nursing, Medicine, Midwifery and Public Health to develop best practice in Indigenous Public Health teaching. The ‘Critical Practice in Indigenous Health’ topic is an Indigenous Public health teaching success story. Its focus on highlighting racism as a social determinant enables students to consider the impact of social determinants on Aboriginal and Torres Strait Islander people’s health whilst gauging the importance of understanding health within a social context which is in line with best practice for indigenous health curriculum. Assessment tasks used in PHCA9504 ‘Critical Practice in Indigenous Health’ require students to examine their own racialised understandings in a culturally safe environment thereby enhancing student criticality. I have been a member of PHILE for over five years as the Flinders University representative for the Poche Centre. I participated in PHILE’s review of Flinders University’s Master of Public Health program as an Interviewee and in assisting the Poche Director Professor Dennis McDermott in providing a foreword for our respective National Curricula Review of Core Competencies Integration into Master of Public Health. The PHILE network has been a rich support for our teaching into Master of Public Health and in ensuring that Indigenous led curriculum development remains core business for Flinders University Poche Centre for Indigenous Health and Wellbeing. Dr Hassan Vally is an epidemiologist and Senior Lecturer at La Trobe University and academic co-ordinator of the La Trobe Master of Public Health Degree. 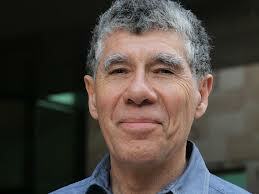 His research interests include nutrition, infectious diseases, child health and Indigenous health. Hassan has a particular interest in public health education and training and has been involved in the teaching of Indigenous students for over 10 years. He is committed to ensuring that Indigenous competencies are incorporated into the public health training of all students in Australia and has been involved in a number of nation-wide projects to ensure that this happens. Anton Clifford is a Senior Lecturer in Aboriginal & Torres Strait Islander health in the School of Public Health at the University of Queensland. In this role Anton coordinates the Indigenous health plan and teaches Indigenous health electives in the Masters of Public Health. 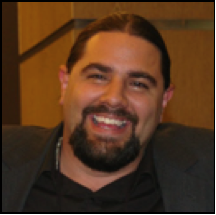 He recently received funding from the PHILE Network T&L Small Grants to integrate the Indigenous Public Health competencies into core units within the Masters of Public Health Program at the University of Queensland. Anton is also responsible for the development, coordination and delivery of Indigenous health curriculum in the Bachelor of Health Science. In addition to Indigenous health teaching and curriculum development, Anton is involved in Indigenous health research. The focus of his current research project includes identifying barriers to delivering best evidence treatment and care in an Indigenous residential drug and alcohol service, working with health and management staff to implement strategies to resolve them and exploring the challenges Aboriginal & Torres Strait Islander people face in accessing health care and support services after release from prison. Anton currently supervises two PhD and 1 Masters student undertaking Indigenous health research. Nell is a non-Indigenous woman, born on the Traditional Lands of the Gunai/ Kunai people. She has worked in the health sector for over 19 years and over 10 years with Aboriginal and Torres Strait Islander communities and organisations. Initially Nell completed a BaHSc (Nutrition and Dietetics) at the University of Newcastle. After five years in the field, she branched into project and program management of community nutrition, community development, Aboriginal and Torres Strait Islander health, social determinants of health and primary health care. In 2015, Nell completed a Master of Public Health with a specialisation in Indigenous health at the University of Melbourne. She has a diverse range of experiences in public health and with population groups including Aboriginal and Torres Strait Islander communities, lesbian, gay, bi, trans, intersex and gender diverse people and people from migrant and refugee backgrounds. During Nell’s employment at the University of Melbourne she collaboratively developed, implemented and evaluated the integration of Indigenous public health competencies into the Master of Public Health (MPH) core subjects. Nell has also facilitated MPH core subject tutorials and taught into the core Indigenous subject in the MPH. While also employed at the University of Melbourne, Nell project managed the Indigenous Public Health Capacity Building project that included strengthening the capacity and role of the Public Health Indigenous Leaders in Education (PHILE) Network. Capacity building included knowledge translation of a quality improvement process to review Indigenous public health curricula and competencies within MPH programs nationally as well as continuing institutional collaboration to facilitate a nationally-accessible MPH specialist stream in Indigenous health. Nell commenced in April at the University of Queensland as a Teaching and Learning Project Officer. Her work includes facilitating the development of a suite of Environmental Health post-graduate programs and integrating the Indigenous public health competencies into the Master of Public health program.